Getting your bond back is not easy; you need to clean your house spotlessly and make it look as clean as it was when you moved in to impress the real estate agent/landlord. It requires hard work and a lot of time. 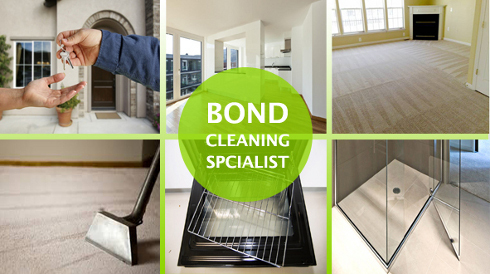 Master Cleaners reduces your effort by offering guaranteed bond back and end of lease cleaning services in Glen Iris. There are numerous tensions and worries when you are moving out once the tenancy is over and cleaning is the last thing you want to worry about. Master Cleaners is here to help you out with proficient and expert end of lease cleaning to save your energy, time and reduce your stress. We will give your rental property a spick and span look so that you can get your bond back! We are dedicated to serve our customers with an exceptional bond back cleaning services and we leave no stone unturned to get your bond back. Master Cleaners provide you complete end of lease cleaning in Glen Iris to make sure your house is thoroughly cleaned and looks like new when you leave it. Our services are designed to help you get your bond back. Therefore, we clean every nook and corner of you property with powerful cleaning equipments. End of Lease Kitchen Cleaning: Master cleaners will clean all cupboards inside out; remove lining and scaling from tiled floors; scrub, sterilize, and polish entire flooring; clean oven, microwave, and other similar appliances; clean and polish walls, doors, and other woodwork; and deep clean electrical fixtures and fittings. End of Lease Bathroom and Laundry Cleaning: We do scrubbing for floors, hard surfaces, toilets, showers, sinks, baths, metal fixtures, and mirrors. We sanitize floorings, hard surfaces, baths, showers, sinks, and toilets. We also remove any lime and scale from tiles, sinks, baths, showers, and toilets. And we do polish the floors and metal fixtures as well. End of Lease Bedroom Cleaning: Our certified cleaners will mop or vacuum or mop all the bathroom floors; clean the wardrobes and cupboards; scrub and polish walls, doors, and woodwork; and scrub and polish mirrors and windows from inside. End of Lease Living Area Cleaning: We clean everything from floors, cupboards, mirrors, windows, woodwork, fixtures, to closets, walls, and doors. Mopping, scrubbing, and polishing are done as required. Additional End of Lease Cleaning Services: You can also ask for external window cleaning, skirting boards, window sills, carpet steam cleaning, and venetian blind cleaning etc. from our bond back cleaning experts. We have special discount deals as well if you combine more than one cleaning service at one time. Talk to our customer advisors and avail the discounted price! You can also avail move-in cleaning, pre-sale cleaning, spring cleaning, and residential cleaning apart from vacating cleaning Glen Iris from Master Cleaners. We offer all our services at economical cost! Our End of Lease Cleaning Package comprises all areas of your home: kitchen, bathroom/laundry, floors, lounge and bedrooms, and balcony. All your floors, cupboards, sinks, taps, cook top, bath tubs, tiled area, mirrors, blinds, light fittings, skirting board, cabinets, windows, sills, and furniture along with appliances. All areas will be cleaned properly: we will remove any cobwebs, scrub wherever required, and do floor mopping etc. Our bond-back cleaning services are done with the single motivation of getting the bond back. And we guarantee you that you will get your bond back after our finest cleaning services! Why Master End of Lease Cleaners? Some people have this vague idea that they can manage the kind of cleaning required while leaving their house. However, there is a lot more implicated in an end of lease cleaning than a typical cleaning of the house. You should not underestimate the amount of hard work required in this task. Apart from simple cleaning, you need to work with electrical appliances and fixtures that have not been touched for years before. How would you deal with insect-filled light fittings? Master end of lease cleaners shed off the load from your shoulders by sparing you from this so that you can deal with more important things than being knee-deep in soil and unclean home. 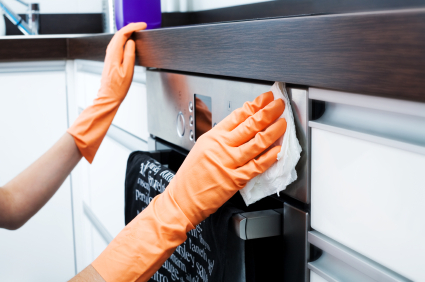 Leave this task in the expert hands of Master Cleaners – the best cleaning company of Glen Iris. We have trained our cleaners to work not just hard but smart too. Landlords and real estate agents have a keen eye and they have a special notion of cleaning. Our cleaners know this well and they exactly do what these people are looking for. So, wit Master Cleaners your bond is sure to come back to you without any hassle! For an affordable, professional, experienced, and expert end of lease and bond back cleaning in any part of Glen Iris, call Master Cleaners right away!